Remember what it was like as a child to get a lucky dip at the show, fair or fete. Well treat yourself to an adult chilli version of the Chilli Seed 'Lucky Dip'. Our Mystery pack has well over 20 seeds and could contain any of the other varieties we sell. We think you will get at least 6 different varieties from this pack if you can stand the SUSPENSE! 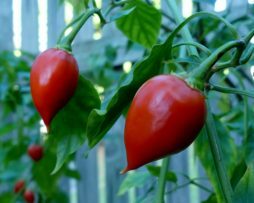 The Peruvian Naranga has got to be one of the easiest to grow. It is a heavy producer of fruit that are great stuffed with cheese. They are often eaten when they are still green but are just as good when they ripen to red. They are fruity and crunchy, will grow in almost any climate and fruit for months! 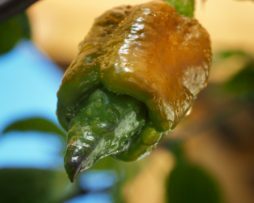 If you are new to chilli growing or don’t like too much heat, this will give you a warm fuzzy feeling! You will be very impressed by the Naranga! With its blinding bright orange colour the Naranja Picante is a stand out in the garden. It’s a variety created by Pepperlover’s who claim this is one of the hottest Baccatums around. 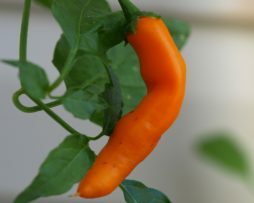 When ripened to bright orange, the taste resembles a real orange/citrus flavour, of course with a sharp sweet bite of heat. It has a very unique overall taste profile that’s hard to describe. The plant is a bit gangly but with a sturdy stake you will get hundreds of pods to make a great tasting sauce, powder of salt. Pods start green and grow to approximately 4cms long. 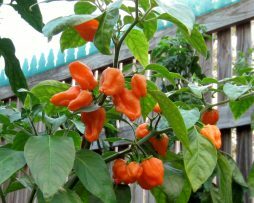 Orange is the new Black so get a hold of this rare tasty chilli pepper. 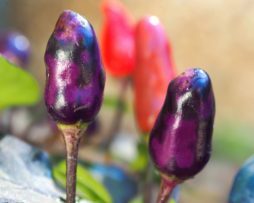 What a colourful Jalapeno type chilli this one is. It has all the colours of the sunset as it ripens with a hint of corking. 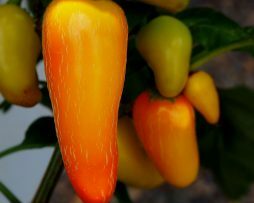 It turns from green to yellow, to orange and finally red when ripe and it looks amazing as it makes its colour transformation. You could say it’s a multicoloured Jalapeno with a touch more heat than it’s forebears. This one was developed at the New Mexico State University in 1997. 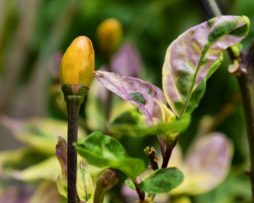 Pods grow to approximately 6-8cm long and 3cm wide and are fat and juicy with a thick wall. It is quite a compact bushy growing plant that grows to 2-3 foot tall. Being relatively mild in heat this one is great in salsas and even salads. We haven’t tried making poppers with them but we think they would be awesome eaten this way or just roasted on their own. 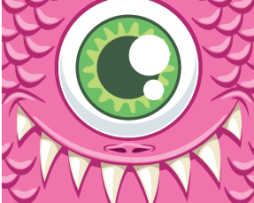 Orange Blob…Seriously!! 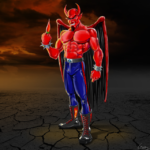 Although well known among serious Chilli lovers, it’s still an enigma! The Orange Blob is said to have descended from some Habanero types and the taste supports that. While it may have a name that only its mother could love and a shape which reminds you of that guy at the Gym you feel sorry for, It’s actually very good to eat! While not quite as hot as other habanero, it is a little sweeter! Go for it…don’t hold back ..Seriously…. 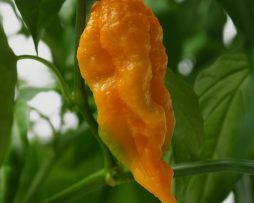 If you like the Yellow Fatalii then hold your breath you will love the Orange version. 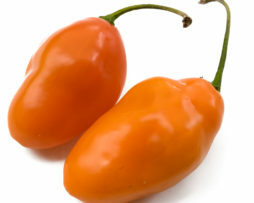 It has the famous Fatalii flavour with touch a passionfruit taste. 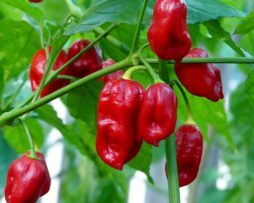 The plant grows to about 100 cm tall in a pot and the pods are 6 cm long and 2 cm wide with the usual Fatalii shape. Do yourself a favor and grow this variety for sure. Here is another crazy cross called the Orange Tiger that is super cool looking particularly as it starts off a shimmery purple black before it turns a unique orange mustard. It’s a variety originally grown by Chris Fowler with parentage of a Pink Tiger x Unknown. We will keep growing this one and see how stable it really is but so far we are pretty happy with the results. 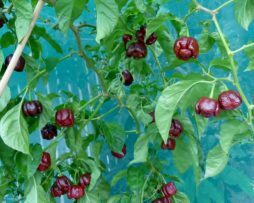 A variety from Eastern Europe, the Orozco chilli plant has some amazing colours happening. It has deep purple, almost black stems and variegated crimson, white and dark green foliage. The Orozco fruit are quite hot and have a birdseye heat and taste profile. Pods grow upright and are about 1.5cm long and 1cm wide. The Orozco fruit go through a myriad of colours from a deep purple to a florescent green, yellow and orange before maturing to a blood red. Its another ornamental stunner that is tasty to boot.